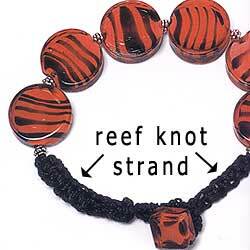 Learning how to knot the reef knot is useful in jewelry making for its decorative appeal. A reef knot is also known as a square knot. 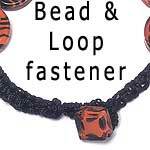 It is a simple knot and though it is not advised to be used for high strain situations, it is used to great decorative effect in macrame and jewelry making.